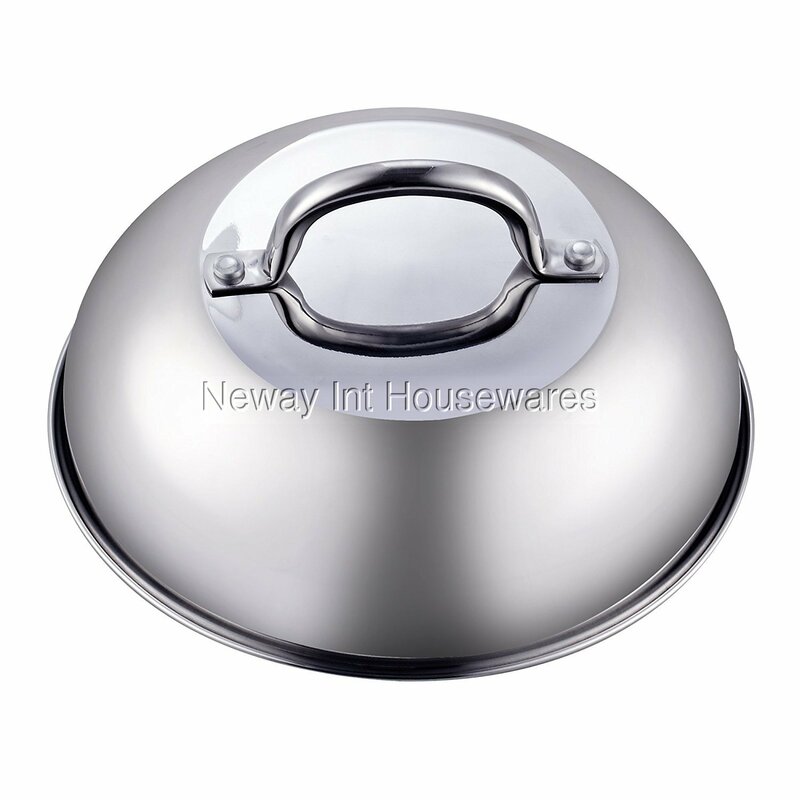 ​The Cook N Home 9.5-Inch stainless steel grill cooking steaming dome lid, 24cm is made of 18/10 stainless steel, high dome lid with a riveted handle and flat top. Fits 9.5 in./24cm pans, pots, and surfaces for steaming and keeping in moisture. Indoor and outdoor use for retaining heat and reduces splatters. Lip creates a tight seal to infuse flavor into food, reducing cooking time. Cook burgers faster, retains the juices, and allows for melting cheese on top. Can be used on grills, barbecues, Japanese teppanyaki, etc. Oven safe to 500F and dishwasher safe.